It was interesting to see how this animated film decided to have about three stories all in one. Rather than focusing simply on Batman and the Joker's story, we're given an additional plot of Barbara Gordon/Batgirl. The benefit of this additional Batgirl story is that it adds a lot more depth to the characters of Batgirl and Batman as well. Besides the first 40 mins of Batgirl's story, the second half of the film is almost a straight forward adaptation from the comic book. Most comic fans always wish for this, so it was definitely appreciated to see many of the same quotes and panels used in the movie. In regards to the story itself, it still maintains as a timeless classic of the relationship between Batman and the Joker's unique relationship. The story focuses on how both men are just two sides of the same coin and how they may not be as different as perceived. I suppose my only issue is in the actual drawing of this film. I understand that this was more than likely drawn in a fashion similar to the 1980's comic that this movie was based on. However, this is just a matter of personal preference for me, so take it or leave it. I would have preferred some of the more contemporary styles of animation for the characters. 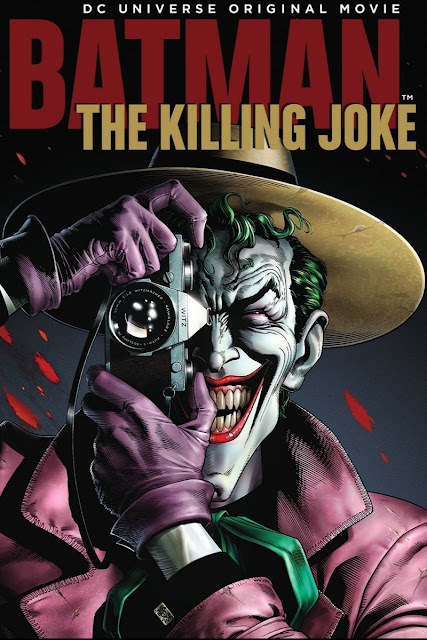 I found it rather difficult to critique this movie because it really didn't divert away from the original Batman: The Killing Joke comic book. Some people apparently have some issue with a certain scene involving Batman and Batgirl. In my opinion, it was nothing short of what many suspected for decades anyway. If you're a comic fan, then your enjoyment of this film will more than likely depend on how you enjoyed the comic. If you're unfamiliar with the 1980's comic, then I'm not sure this film will be as well received as other Batman animated films. There isn't the same level of action and suspense, so some audiences may feel a bit under served. Personally, I enjoyed the film simply because I've always found the weird relationship and the deeper meaning between the Joker and Batman to be fascinating. Well this movie wasted no time at all to get the ball rolling with the horror. Rather than build up the creepiness and anticipation of the scary moments, it's simply thrown right at you from the very beginning. The ghost/monster thing (who I like to call "Dirty Diana") was pretty terrifying even though all you could primarily see is a dark figure. 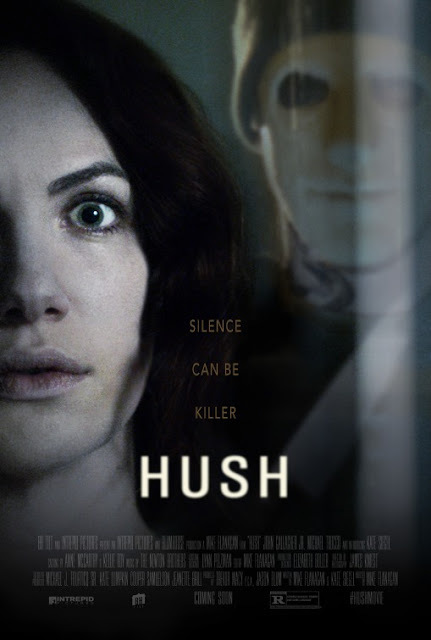 As usual, I will give this some points because it is pretty original in the sense that this is a fresh, new angle to approach horror characters. The concept of playing on the fears of darkness while being crippled to the safety of light is one we all can relate to from our youngest childhood fears. My favorite character has to be "Bret" played by Alexander DiPersia. I can't go into detail about what he does or doesn't do, but I will say that got a round of applause during my screening of the film. His character possessed a much needed element that a lot of horror movies tend to lack. Almost all of the characters, except for Bret, are pretty annoying. Their naivete and incompetence invoke instant eye rolls. I mean they go beyond just the "Oh what's that? Let me go investigate" level of stupidity. Many of the of the main characters KNOW what they're dealing with (or just that it exists) and still act clueless about handling the situation. When characters get that dumb, it completely distracts the audience from taking this film seriously. Matter of fact, the idiotic actions of the characters make this movie more comical than scary. Speaking of which, for a horror, this was a pretty lackluster. Yes, there were plenty of jump-scares. However, the setup for them felt so rushed and, even worse, predictable. Despite having James Wan (Insidious, The Conjuring) as a producer, very little use of his style of setup and delivery were utilized. The film could've easily borrowed aspects of the first Insidious film which created an atmosphere in which you had no idea when something scary was going to happen, or if it was sitting right in front of your face the entire time. This movie is what it is. It's a basic horror film, that was inspired by a really good, award winning horror short movie. (Watch the original short here.) 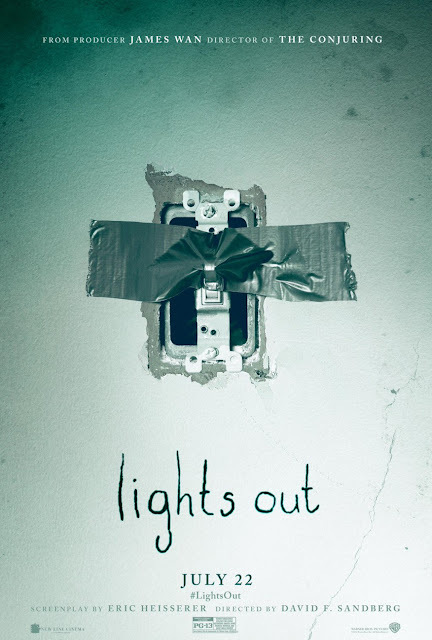 This was a pretty forgettable film that sadly won't have you taping your light switches on at night. If you did decide to see this, this would probably be a good date movie or something to see with a group of friends. You'll probably get a bigger kick out of laughing at the movie rather than going to get some real terrors. Feel free to see this as a matinee or wait to watch at home. Maybe if you watch it at home with the lights off it may make the movie just a little bit scarier. I'm a sucker for it every time, so I'm going to give this points for originality. The concept of blending both the game "Truth or Dare" with the FaceTime type of software is a really unique idea. The setup of "Players" and "Watcher" is also an interesting perspective on the potential state of social media today. The film doesn't take long to give you the basic premise and set up the characters. Among the characters, Emma Roberts and Dave Franco are probably the most intriguing. Emma's character ("Vee") does a decent job of portraying an introvert, who tests her own limits in front of the online world. Dave Franco's character ("Ian") maintains a level of mystery and intrigue throughout the film. The two gel pretty well on screen and their interactions do come off as pretty genuine. Overall, the suspense of the dares is probably what will stand out the most for this film. Some of the stunts and dares are shot in such a way that you're own heart rate may go up just a little. A personal favorite of mine was the final twist at the end of the movie. I thought that it was rather ingenious and unpredictable. I suppose what was missing was just a bit more development in the characters themselves. The film tried to balance between developing the main characters and focusing on the "Nerve" game itself. Similar to the Purge films, this movie would've been better served had it focused on the unique idea of the "Nerve" concept and its impact on society, rather than trying to build up a soon to be forgettable character. 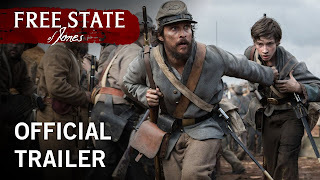 I think that if you're a millennial, spend at least 3 hours on social media a day, or know how to work a smart phone, then you'll more than likely enjoy this film. Seeing as though this movie does center around high school to college aged kids, it sort of alienates itself from being enjoyed by an older audience. I personally liked it. If you've ever seen the movie "Unfriended", or if you like teen drama films like Divergent, then you'll definitely like this as well. Is this a must see? Nope. 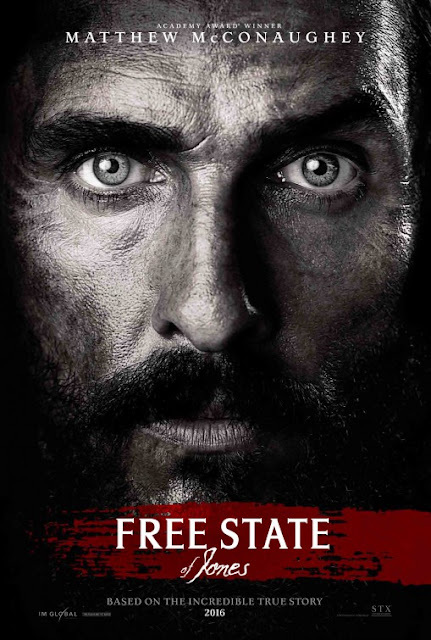 However, it's a decent matinee movie or if you want to wait to see at home I don't think you'll be disappointed. Again, I'm biased when it comes to originality, so i'm giving it an extra little bump for my rating. The chemistry between the characters stands out throughout the film. They each are able to have their own identity and comedic style for the entire movie. Kristen Wiig and Melissa McCarthy delivered the same performances as we’d expect, but the more interesting characters were probably that of Kate McKinnon and Leslie Jones. McKinnon was so weird, but in a good and funny way. She easily had one of the best scenes and almost steals the movie. Her role as the engineer was by far the most intriguing. Even for Ghostbuster fans who consider themselves purists, her ingenuity with various gadgets was a wonderful upgrade to the Ghostbusters overall. Leslie Jones slightly exceeded my expectations. What I personally appreciated was how she didn’t completely fall victim to playing a generic stereotype. Matter of fact, I think she had the most normal reactions to some of the crazy situations the Ghostbusters faced. Best of all, I really appreciated how they highlighted that she was more than just a transit employee that knew about New York City. She was incredibly valuable and resourceful to the team. 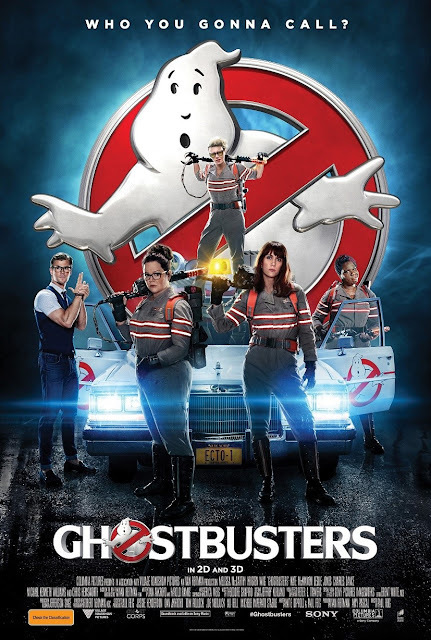 The plot felt a bit stitched together, but it’s not like Ghostbusters is known for its deep story-lines. I think that the film overall did a nice job of paying homage with the numerous nods to the previous the previous film. 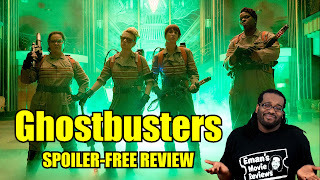 You’ll get more than enough nods to the previous Ghostbusters films. 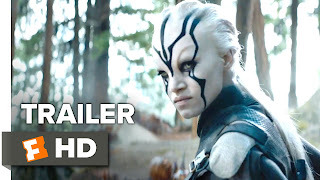 You can probably also tell from the trailers that this film has some nice special effects. The visuals were definitely a sight to see as they keep your attention whenever a ghost is on the screen. For the entire duration of the movie, I struggled to figure out what tone this movie was trying to have. The film felt like it had two different halves. The first half was nice, subtle humor. The second half seemed to try and juggle a sense of urgency and corny goofiness. For many instances, for me, the goofiness was a little distracting. I won’t say who, but many of the cameos in this film just never really felt natural. They felt like they were just randomly thrown in just for the sake of seeing a familiar face. The cameos just felt misplaced and sometimes forced. My biggest issue with this film was not that it was a reboot or remake. 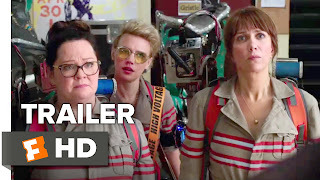 Rather my issue was that this film could’ve simply just been a warm hand-off from the old Ghostbusters. This film erases the previous movies, but still tries to tap into the previous films by doing various things to call back them. Given the fact that some of the characters are from Saturday Night Live, you almost get a sense that they tap into that same comedic style. Now for some people, that may be fine, but for me, it’s problematic. Just like in Saturday Night Live, some of the jokes in this Ghostbusters were just milked a little too long for me. After the fourth or fifth time of seeing that funny thing, it starts to lose its’ punch. For me, the movie’s jokes were chuckle-worthy, but not laugh out loud funny. Anyway, I’ve always said that comedies are one of the most subjective movie genres to critique. What’s funny to me may not be funny to you, and vice-versa. While some people were in my theater were laughing out loud, myself and others were just smiling for a long time. At the end of the day, trust your gut on this one. If you’re livid about this movie then don’t bother. Chances are you may just nitpick the movie anyway. For those who are on the fence, I'd just say that it’s not as bad as it was made out to be by the people who didn’t even see it. I could see how this would be funny for some people, but it was just okay, for me. If you’re curious about it, I’d say give it a shot and make up your mind. If you’re a fan of director Paul Feig’s work (Bridesmaids, Spy, The Heat) then this is right up your alley. I also wouldn't recommend it for small children because some of the ghosts may actually be a little too scary for them. Be sure to stay till the very end of the credits for an end credit scene. The acting definitely stands out as one of the highlights of this film. 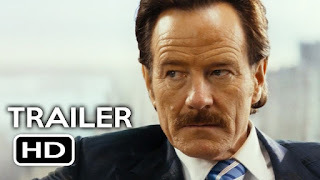 Bryan Cranston was simply brilliant. His acting is definitely at an all-time high in The Infiltrator. You can tell because throughout the film, he's able to convey his emotions in such a way that you have no choice but to connect with his character. 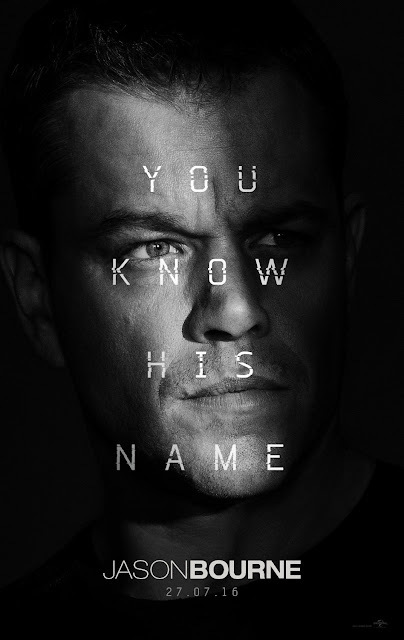 I appreciated how he was able to show the real difficulty surrounding the life of an undercover agent. Rather than just showing the pretending and crime busting, they also showed how his life affects his family, and his own decision making. I should also mention that Cranston was able to build off of a very strong supporting cast as well. A lot of characters were able to stand out on their own in a very unique way. John Leguizamo (played “Emir Abreu”) was great as well. His character fed into much of the suspicion in a film where you didn't know who to trust. 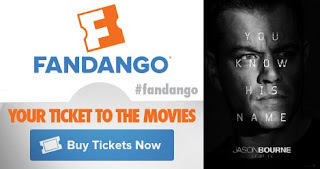 Benjamin Bratt (played "Roberto Alcaino") and Diane Kruger (played "Kathy Ertz) gave noteworthy performances as well. They all shared such great on-screen chemistry together, that I almost feel bad for not being able to mention the other very unique characters. The other highlight to this movie was the high level of suspense. There were so many scenes that were either jaw-dropping or just completely suspenseful. You almost have to sit on the edge of your seat when some situations in the movie take an ugly turn. What made it even more intense was that there were many twists and turns that were rather unpredictable. There's a decent amount of action mixed with a good dose of intrigue that will keep you interested from beginning to end. It was nice to see how the older technology was used to assist the agents do their work. However, after watching this film, I'm not sure why anyone in their right mind would ever want to work undercover for any reason. My only real issue with the movie is that it felt kind of long. It is about two hours long, and there are plenty of scenes that will keep you engaged. However, it probably could've been a little shorter to help the film go by faster. 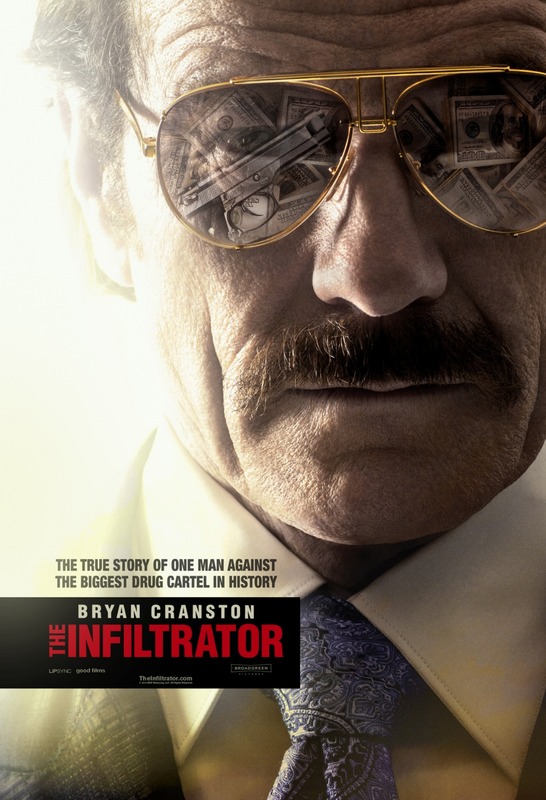 Overall, I really enjoyed The Infiltrator. 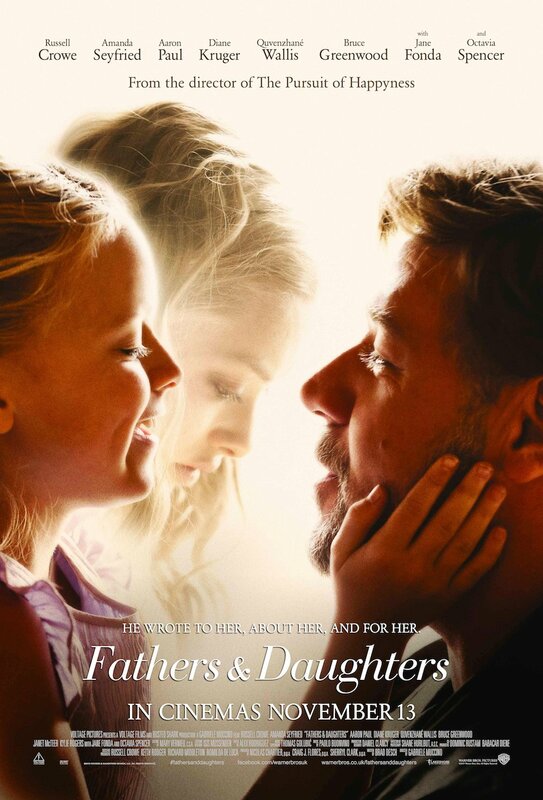 I can understand that this film may not be for everyone. 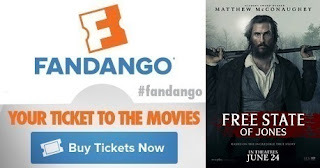 If you're a fan of the movie Sicario, American Hustle, or the Netflix series Narcos (all highly recommended), then you'll more than likely enjoy this. The story of Pablo Escobar never gets old, in my opinion, and this movie doesn't sell it short at all. I'd highly recommend checking it out whenever and however you can. Right off the bat, you'll notice that the story makes way more sense. It’s told in a much more chronological and cohesive manner. You'll also notice that many of the scenes were re-ordered in a much better sequence. The benefit of this was that the characters we developed in a much better way. We actually get a better sense of their motivations as well. I appreciated Amy Adams (played "Lois Lane") so much more in this version. She's cracking cases like Sherlock Holmes and even reveals some insight as to why Superman couldn't stop that bomb. As for Superman/Clark Kent, we found out that he wasn't so much of an emotional jerk after all. He followed up with the victims, and showed that he really did care. The theatrical version cut out many of the scenes that really dug into the moral dilemma of "who's good or bad" and "What's right or wrong". When someone stated that Superman was a hero, we didn't get to see much of the other side of that story questioning "Well who's hero is he really?" In a nut shell, the ultimate version made me actually care a little more about Superman's character. On to Lex Luthor...Jr? Well they did a much better job of showing us more of Lex's plans and just how much he really was involved with the conflict between Batman and Superman. This definitely helped to add to his character's motivations and devious nature that we're all accustomed to. The scene where Lex is captured in the spaceship made way more sense as well, which was a much better setup for Darkseid's arrival. If you had high hopes like me that there was going to be another intense action scene like Batman's final fight scene, then I'm sorry to tell you it's not happening. Many of the additional scenes were more so for the sake of filling in the plot, and not so much action packed visual delights. Batman V Superman was both a Win and a Fail at the same time. It primarily had only two goals. The first goal was to give us the two most iconic superheroes on the big screen while teasing the Justice League's existence. The second goal was to appeal to average movie goers AND comic fans alike. With the studio panicking over the long run time and forcing Snyder to cut it short, I think the studio failed in the sense that the Ultimate version was obviously a better film. However, if they wanted to cut things out they should've just cut out Doomsday. And yes, I know, that would've meant Wonder Woman too. Honestly, I don't think all of her scenes were needed. Why? Because this was a setup movie. When we saw that awesome trailer for BvS, we didn't know Wonder Woman was going to be in it, and we LOVED it. She could've been teased like everyone else, and got us excited for her upcoming solo movie. Doomsday could've simply been teased. Furthermore, I've been on record to say that Superman's death was incredibly premature. Such an event is not something you cram in the last 20 mins of an already bloated movie. That could've been saved for Man of Steel 2 where we could've focused and cared more. 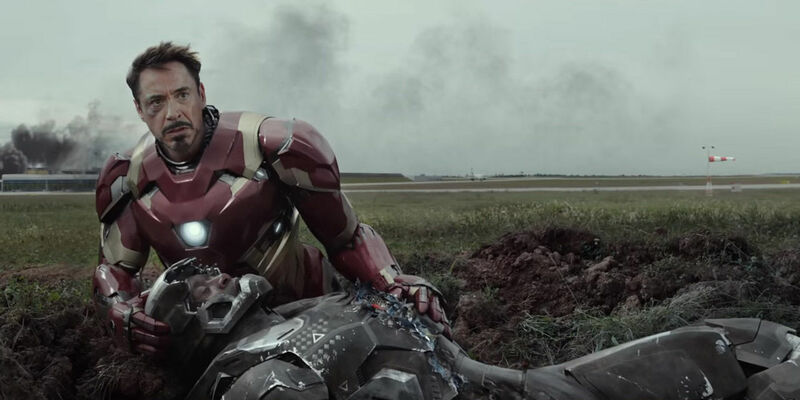 Now Snyder also failed in the sense that no one told him to make a 4 hour movie. (yes it was originally going to be 4 hours!) As a director your job is to tell us your story but do it effectively. Now to be fair, both the studios and Snyder still win. Studio gets Geoff Johns (awesome comic writer) to supervise all of their projects moving forward as an executive producer. They also added Ben Affleck to direct and executive produce some of their films as well. (This way they can reel in Snyder if he goes off the reservation again.) Snyder wins because he gets a second chance to direct the Justice League movies. Overall, I believe that this ultimate edition is what should've hit theaters regardless of its time length. There wouldn't have been as much of a divide, in my opinion. Feel free to give it a watch and purchase or download as you see fit below. Blu-ray Bonus Features:Thanks to Warner Bros. 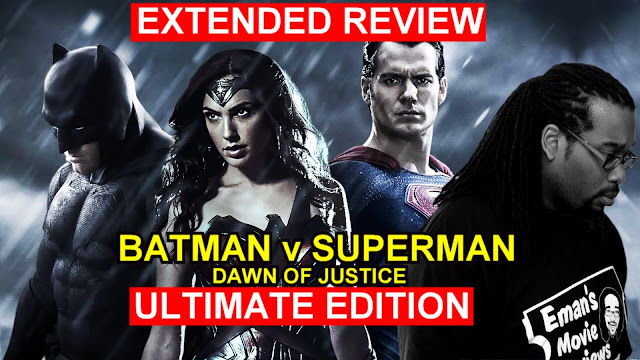 I also got an early look at the bonus features that will be included in the Batman v Superman: Dawn of Justice Ultimate Edition, so to add to my final thoughts on the film he is a breakdown of what you will get with he Blu-Ray and how it will enhance your experience. Reviewing the special features, we get a chance to take a look at some great previews of the rationale on who the justice members are. We’re then given a little more additional insight into why things like the "Martha connection” may be more important than some may think. If you loved Wonder Woman in the movie, then you’ll more than likely appreciate the background stories and the development of the character in general. (Probably one of my personal favorites of the special features.) I didn’t care as much for the Batmobile special feature, but if you’re a car-nut, you’ll probably appreciate it more. We definitely get to see just how deep Snyder’s love and intrigue for Superman and his moral complexity. For those of you who really want to nerd out, there’s a nice breakdown of the actual fight between Bats and Superman. However, it was a little disappointing in the sense that it ends a bit prematurely. I was looking forward to something that could salvage Lex’s character, and didn’t find it. Overall, I’d say that if you really loved the theatrical and the Ultimate Edition then you’re probably the best candidate to really appreciate what the special bonus features have to offer. While I did enjoy the Ultimate Edition, I didn’t feel wow’d by most of the special features, however, I did like some of the background information presented, and more of the commentary rationales by the show’s writers. At this point, I’d probably say that simply watching the Ultimate Edition is more than enough of a payoff for those somewhat disappointed with the theatrical version. However, the bonus blu-ray features simply are simply just that: a bonus. The film is the absolute perfect length. It doesn't waste time in setting up the story and getting straight into the meat of it all. As you can tell from the trailer, this is full of suspense. There were just a few scenes that didn't play out as you may expect. What I appreciated the most was how "Maddie" (Kate Siegel) did most things that anyone else in her situation would. The story was a slightly original twist on a classic "predator vs prey" style of thriller. The story is pretty straight forward, and you can probably predict 85% of it. Maybe the last 10 mins of the movie is where it got the most interesting. As you can see there really isn't that much to talk about with this film. It's something that I'd recommend watching on a weekend when there's nothing else to watch. It was cool, and I have no gripes about it. I wouldn't say it's too scary either, so don't worry having any heart attacks while watching. I could only find this on Netflix so if you've got it feel free to give it a look. 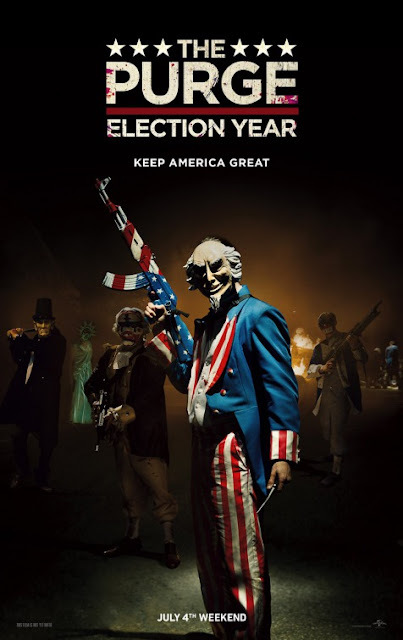 I loved the fact that they teased about how much the influence of the purge has spread. We only get to hear about this from a few characters, but it was nice to hear about. (I wish they wouldn't actually shown it rather than just mention how far it's spread). Frank Grillo was just as good as he was in the last The Purge Anarchy (My Review), and continues to win as an action star in my book. Along with him, Mykelti Williamson (played "Joe") attempted to steal the spotlight with his off handed, stereotypical comic relief. It was entertaining for the most part, but be prepared for some major eye rolling too. The writing overall seemed cheap, rushed, and underdeveloped. 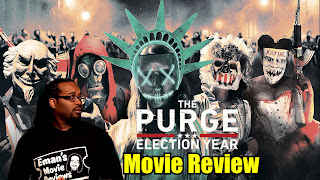 It felt like they just wanted to stretch what happened in Purge 2, rather than expand a richer story. In some cases, the story relied a little too much on just how demented people got with their creative purging. It won't take you long to figure out that the characters were stereotypical and over the top; which led to them doing a lot of over acting. The bad guys were the most extreme bad guys you could think of, and the good people were as naive as ever. Some of it didn't even sound believable. Some of the lines the characters were saying were just ridiculous and were probably just in there for shock value. There were other moments in the film that were simply unbelievable. The more you actually sit back and think about what was going on, the dumber the movie gets. 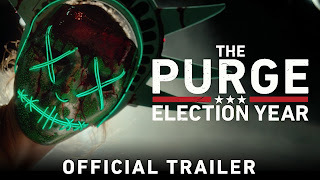 Rather than keeping the serious tone that the previous Purge films had, this one tried too much to be comical. The sense of urgency, and suspense are just diminished as you can tell this film didn't take itself seriously at all. 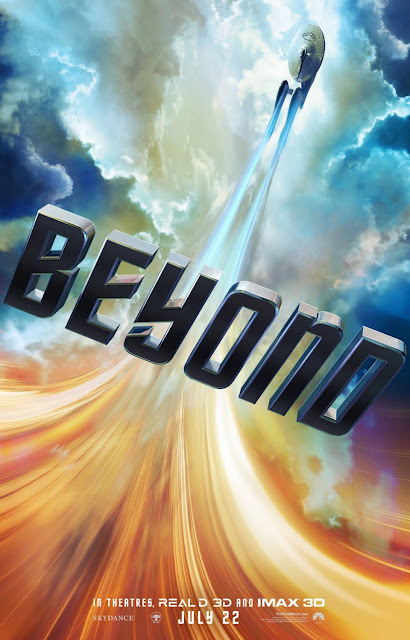 You can tell right off the bat this movie was intentionally made to be seen in 3D. There are only one or two "in your face" moments with the 3D, but the biggest accomplishment of the 3D effects was to add depth to what you see. If you're afraid of heights, you may slightly hold your breath a few times during the great camera angles as Tarzan swings through the jungle. 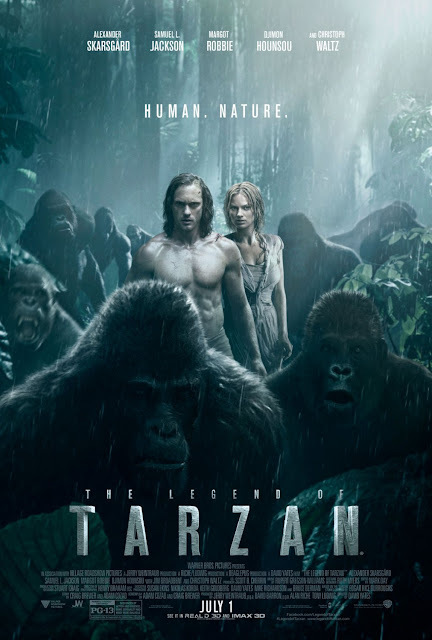 Rather than giving us the same old Tarzan origin story, this film is a bit of a prequel and sequel all in one. We're reminded of Tarzan's past through periodic flashbacks. It was also nice how the majority of the film takes place with a more "civilized" Tarzan about a decade after leaving he jungle. Alexander Skarsgård really looks and sounds the part (even though he wasn't given many lines). It's kind of hard to imagine anyone else playing a better Tarzan from this point. Christoph Waltz (plays, "Leon Rom") delivers the great level of acting we've come to expect as the villain. Samuel L. Jackson (who plays George Washington Williams) served as the entertaining comic relief of the film. The action and fight scenes were also a highlight. 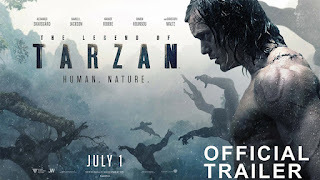 It was cool to see Tarzan display his "wild" fighting style against animals or humans. While Skarsgard and Jackson shared some nice on screen chemistry, there were moments where it simply felt a little cheesy. (Remember those corny lines from buddy-cop movies?) 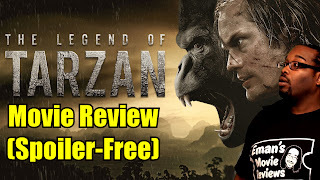 Besides that, we understand that Tarzan has a unique relationship with animals, but the ending seemed to push it a little too far in my opinion. I thought this was a good adaptation of the classic tale. 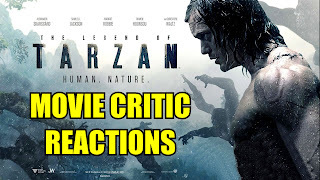 It's probably fair to say that it's one of the best Tarzan films to date. I can't say that anything in this film necessarily wow'd me, but I was entertained the whole time. I saw the film in IMAX 3D, but I don't think it's nearly worth that much. I do think that if you plan on seeing it in theaters, then 3D would be ideal.